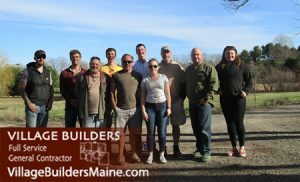 Sometimes it’s the little things that make the difference, like the chime of a clock… Village Builders was on it when they helped the Town of Gorham with their clock renovations in 2008. 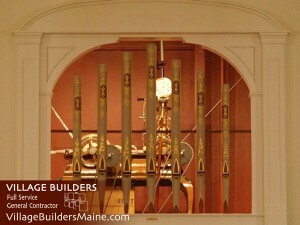 The clock, housed in the First parish Congregational Church UCC tower for over a decade, had stopped, and the town was silent for over two years when Balzer Clock Works and Village Builders came together to help bring the familiar peal back to the town square. 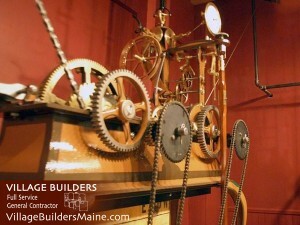 There is now a viewing area available to see the restored clock. Stop by today to see how great things happen when craftsmanship and a sense of purpose come together. 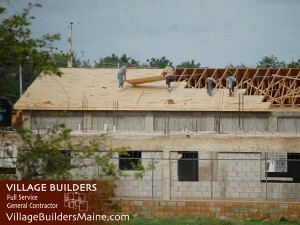 In 2014 Village Builders joined a group of 30 people affiliated with the South Gorham Baptist Church in building a church in the Dominican Republic. The pictures below show the newly constructed building which replaced a much smaller, much lesser building whose roof blown off several times in storms. 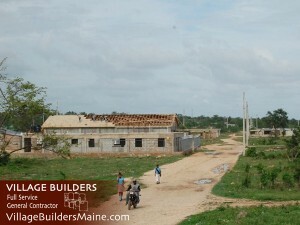 Village Builders did and all the preparation for the roof trusses and chipped in labor. The new church will be the only substantial building for a community of several thousand. We also worked on, and next year we will focus on, completion of the school, which can be seen in the foreground of some of the photos.